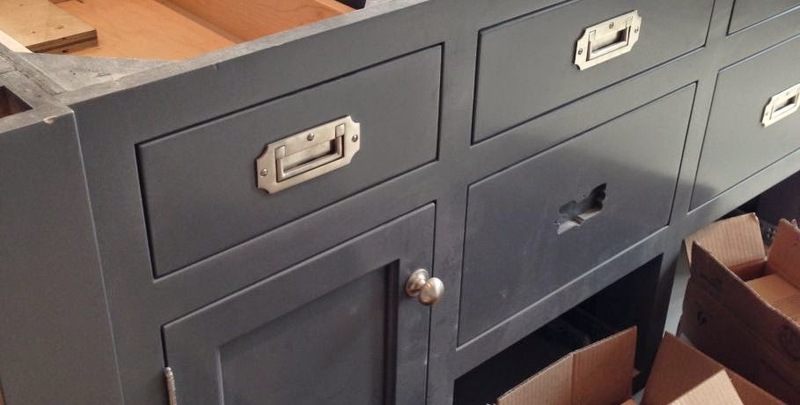 You've seen these around and it simply means that the cabinet doors and drawer fronts are made to be flush with the front of the cabinet when closed. Inset cabinet doors usually require a special European style hinge and gives a very clean and modern look. The pictures below will make it clear right away. 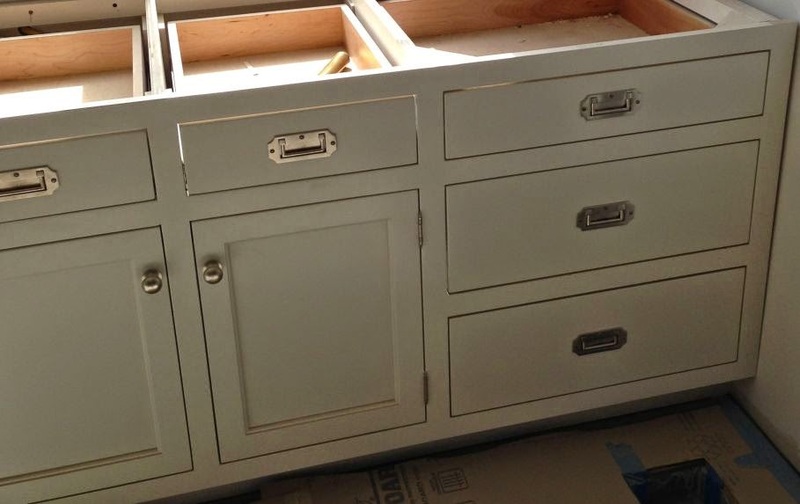 One thing to remember is that inset cabinets must have their hinges adjusted on occasion as they fit so snugly that time and temperature changes may affect the way the cabinet doors open. 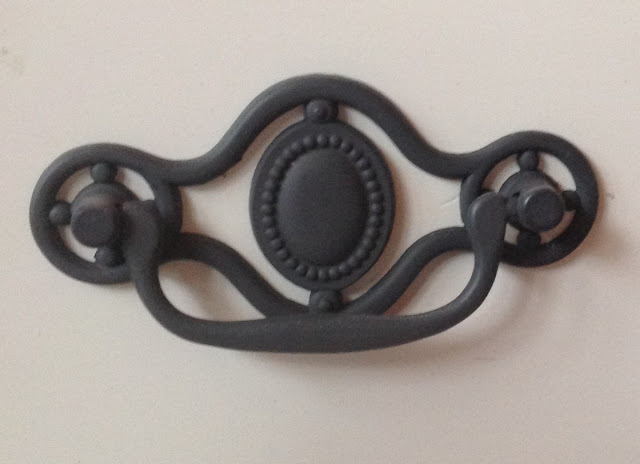 European hinges make this adjust very easy. 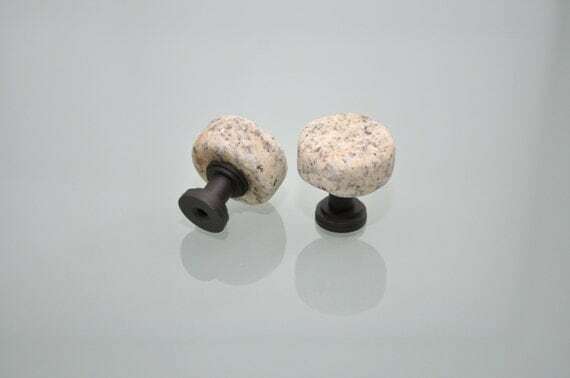 With our collection of hardware bases it is possible to turn literally anything into a cabinet knob or pull. 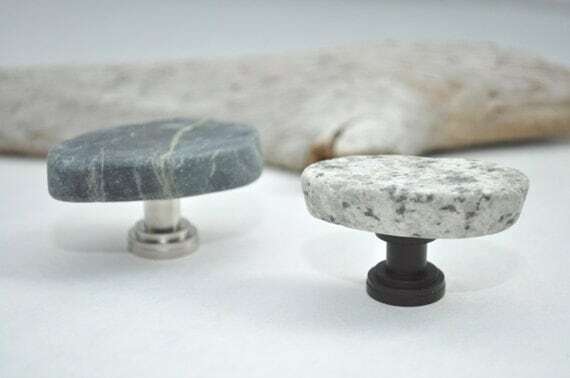 Below we have to decided to show off what truly beautiful and one of a kind hardware can be made using our knob making base collection by showing examples from people that have actually gone into business selling knobs they made using our hardware. We feel obliged to start with a great company and for sure the biggest little company on this list, Sietto. We developed the beginnings of this line of hardware while working with this artist/entrepreneur out of Chicago, IL and the line has expanded and been successful ever since. It's funny how things work out, but we owe a debt of gratitude to Sietto for getting us started on such a popular line of hardware. We still work closely with Sietto and are currently working on longer bases to accommodate his growing business. 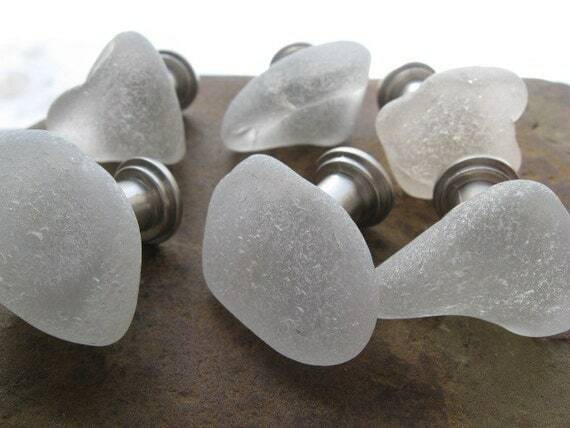 Next is another really cool business that has been buying bases off of us for awhile now, Uneek Glass Fusiions. Uneek Glass Fusions is doing just what Sietto is but in their own "uneek" style of course. 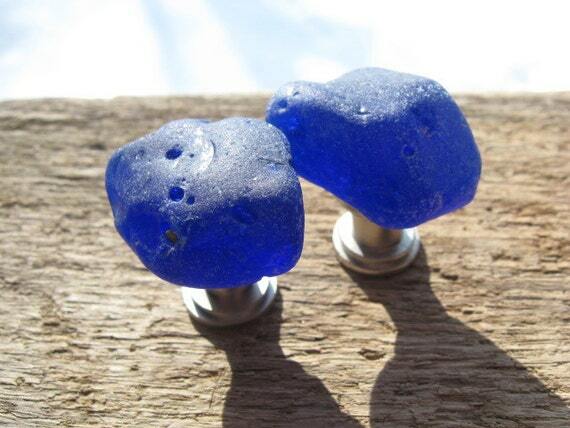 Lots of our customers are selling their knobs on Etsy and it's been working out great for stores like Art de Fleur who sells amazing glass knobs. 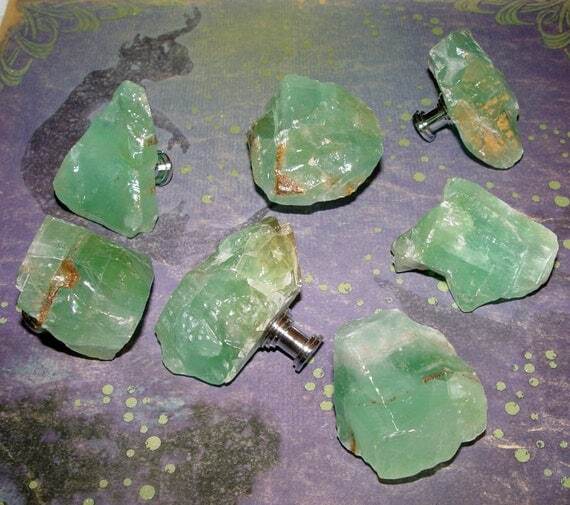 We also have a lot of customers using river rocks and other special stones to make cabinet knobs. 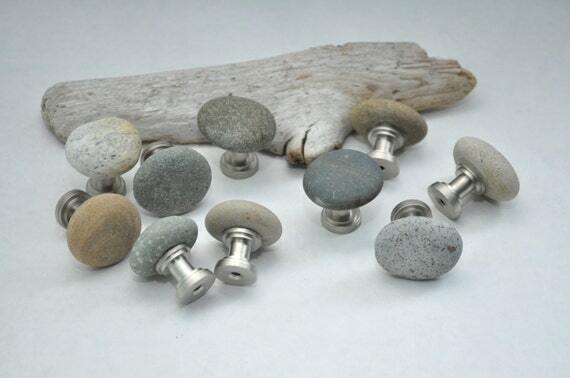 To start off we'll show you some beautiful knobs from Lakeshore Stones in Michigan. 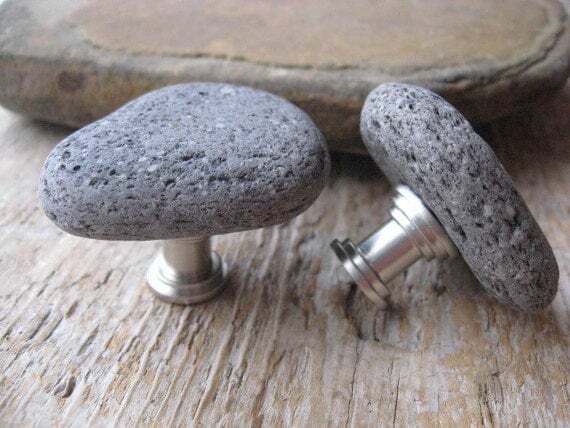 These knobs are made from the beautiful Petoskey Stone. Next up! 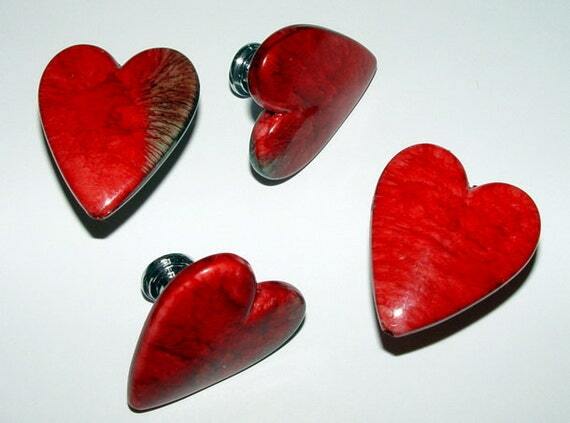 Long time customer Aimee's Rock Works, another really cool Etsy shop. 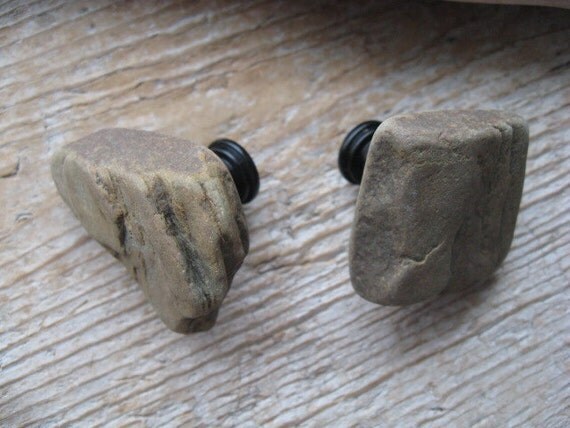 She does all sorts of stuff with smooth river rocks. 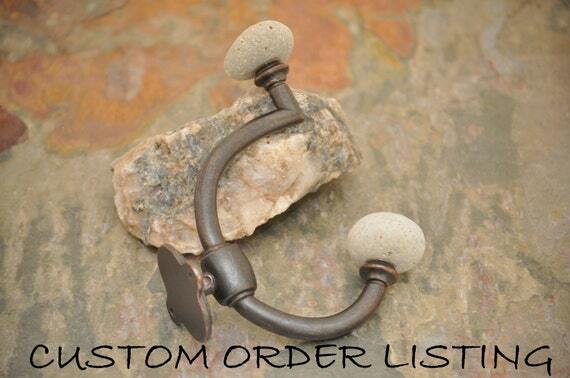 She even makes a few products using our make your own hook bases! More of the same, but every knob making artist has his or her own style and taste. Lake House Treasury sells on Etsy and offers several unique styles. And last but definitely not least is LandiDesigns. 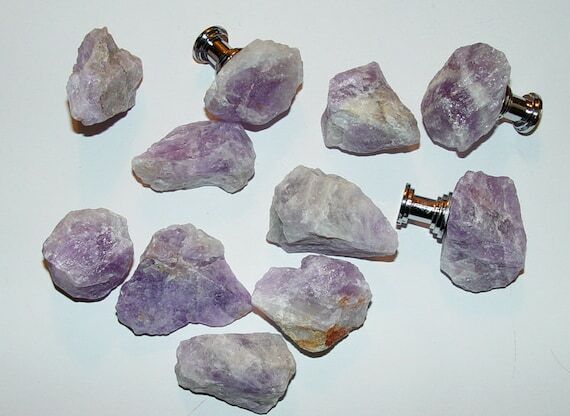 LandiDesigns puts another great twist and uses quartz, amethyst, and other gemstones to make absolutely beautiful hardware.